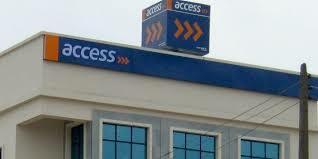 Access bank Plc has said its proposing a green bond issuance of up to N15 billion and not N150billion as reported by some media houses. The bank made this known in a regulatory filing with the Nigerian Stock Exchange (NSE) on a Friday stating that its attention has been drawn to certain reports relating to Access bank planning to sell N150 billion green bo nds by 2021. While the statement from the bank did not categorically deny the reports, Sunday Ekwochi, the bank’s company secretary who notified the NSE of the clarification through a regulatory filing on Friday, said the bank has submitted respective applications to both the Central Bank of Nigeria and the Securities and Exchange Commission in respect of the proposed N15 billion green bond issuance. Although a timeline for the proposed issuance was not mentioned, the bank stated that it was yet to receive regulatory approval, neither had it taken decisions regarding the launch of the bonds. “The bank will upon receipt of the approvals evaluate market conditions and then decide whether to proceed with the transaction,” the statement read.